We’re extremely excited to present the first tasting event of the year, and we’re certainly starting it off with a bang! 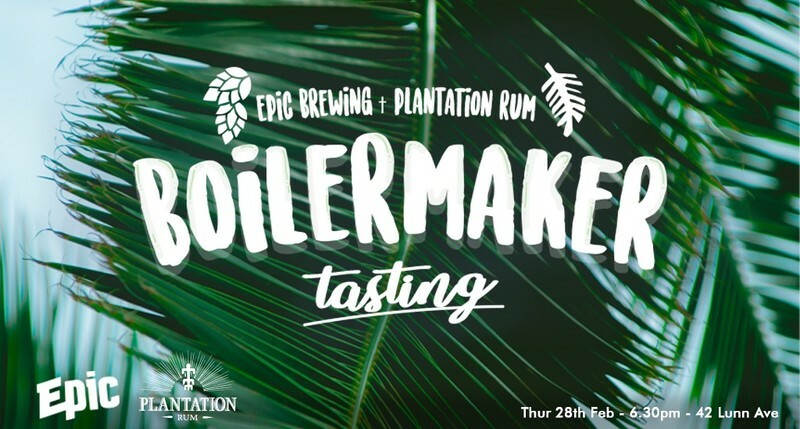 Join us for boilermaker matches made in heaven with Luke (Head Brewer & Owner) of Epic Brewing and Kit (National Brand Ambassador) from Plantation Rum. We will be tasting our way through six flights, each with a perfectly matched combination of beer and rum alongside finger licking meat platters. Learn how the rum and beer interact and accentuate each other from the very best in the game. Not only will you be trying tantalising matches, but on the night we will have a special pre-release of an exciting new IPA from Epic, plus a special treat with the exclusive release of Plantation Barbados ex Cognac barrel aged Hop Zombie Double IPA that has been maturing and imparting flavour waiting for this special release tasting! Never to be repeated, a tasting not to be missed, with a very limited number of tickets – book now!